All programs and facility use will be closed until further notice, with an exception of the Senior Meal Program which is expected to run as planned on Monday. Frank O’Brien Papen Center is closed during the weekend, therefore no weekend programs are affected. Approximately 130 asylum seekers that were housed at three Las Cruces shelters were transferred Friday, April 19, 2019 to Las Cruces High School (LCHS) for the weekend. This weekend, new-arriving asylum seekers will be taken there. The asylum seekers will be sheltered in the school’s gymnasium. LCHS will serve as temporary housing through Monday to consolidate efforts to care for the asylum seekers, thereby giving volunteer shelter workers, many of whom have been working non-stop since last Friday, a much-needed break. It will also provide an opportunity to reconstitute the three shelters; Las Cruces Gospel Rescue Mission, the Community of Hope and the Doña Ana County Triage Center. The driver suspected of causing the Feb. 2 crash on Spruce Avenue that killed a 26-year-old woman has been indicted on a felony count of vehicular homicide. Michael Nathan Trujillo, 27, of the 1800 block of Anita Drive, is charged with one count of homicide by vehicle and one count of causing great bodily injury by vehicle. Both counts are third-degree felonies. He’s also charged with reckless driving, speeding, running a red light and not properly using a seat belt. WASHINGTON (AP) — When President Donald Trump insisted last year that America's southern border was in crisis, his warnings landed with a thud. Making unverified claims about "unknown Middle Easterners" and prayer rugs found by ranchers, Trump drew eye rolls from Democrats and many others, who derided his tactics as little more than an election-year stunt . Now, six months later, Trump's new cries of alarm are again being met with skepticism, though the situation at the border has indeed deteriorated. Lawmakers of both parties agree there is a genuine humanitarian emergency, with federal authorities and nonprofits unable to cope with the tens of thousands of Central American families seeking refuge in the U.S.
Commentary: American Civil Liberties Union (ACLU) of New Mexico sent a letter to New Mexico Governor Michelle Lujan Grisham and Attorney General Hector Balderas asking them to investigate an armed vigilante group currently engaged in the unlawful detention of hundreds of migrants near New Mexico’s southern border. Commentary: Honest tax payers should want more IRS audits. Not of themselves, of course, but in general. The reason is to incentivize those who are less honest to pay their taxes. In fact, a lot of taxes go uncollected. An IRS study for tax years 2008-2010 found he tax gap, which is the amount of money owed the IRS but not paid, averaged $406 billion per year. This translates into 16% of taxes going unpaid; about 2.8% of GDP. Commentary: Behold! See, mortals, the unseeable: This week brought us a glimpse of a black hole, briefly flooding social media timelines and popular science digests with a blurry image of a fiery orange ring that newspaper writers have likened to everything from the eye of Sauron to a donut. Commentary: Late Monday night, the Albuquerque City Council voted 5-3 to pass a weakened Clean and Green ordinance that will end single-use plastic bags in retail but allows restaurants to distribute single-use plastic bags, plastic straws and Styrofoam takeout containers. Sierra Club’s Global Warming Emergency (formerly Global Warming Express) kids, who have been advocating for such an ordinance since the beginning of the year, waited for four hours to speak on the importance of ending the proliferation of single-use plastic bags, plastic straws and Styrofoam takeout containers that create microplastic and nanoplastic pollution that could endanger our health, in addition to damaging our oceans and killing wildlife. Commentary: I’ve always been proud of the way our community treats those who are in need of help. The most obvious example of that is the Community of Hope complex, where the homeless can get food, shelter, clothing, showers, counseling, computer access, job assistance and treatment for both their physical and mental health. More recently, when federal authorities began dropping off families of Central America refugees in Las Cruces, El Calvario Methodist Church launched a massive volunteer effort to welcome those families and help them get to their sponsors around the country. The people and issues in our growing border communities. Watch Fronteras Thursday at 7:30pm, Saturday at 5:30pm, and Sunday at 11:30am on KRWG-TV. 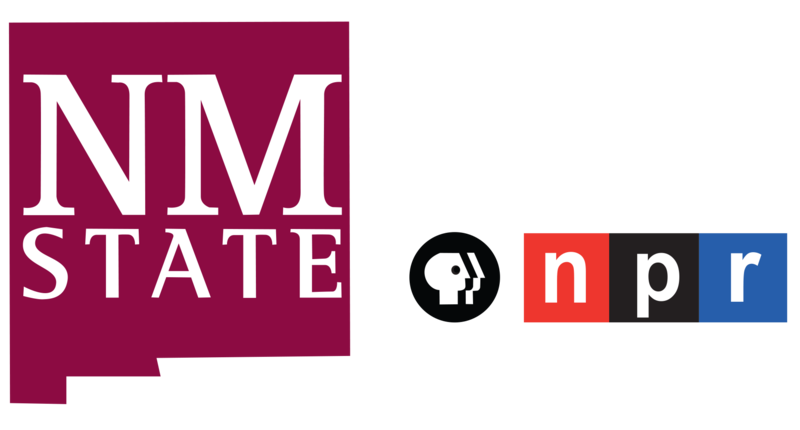 Living Here appears on KRWG-TV's Newsmakers and is also featured during occasional special programs. New Mexico citizens with a state-issued ID may register to vote online. If you do not have a state-issued ID, complete a registration form at MVD or county clerk's offices.